The directors and management are highly qualified and play vital roles in ensuring the success of our business. 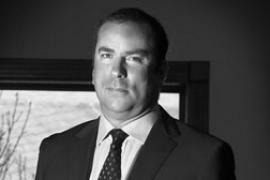 David McAlpin (also known as Dave) has over 15 years’ experience both in South Africa and international retail. He served as Chief Executive Officer of Principa Decisions at Transaction Capital and served as the Chief Executive of Forza Group for four years. He has also held various senior positions within the Massmart and the Wooltru Group. Dave holds a Bachelor of Commerce Degree from Rhodes University, an MBA from the University of Cape Town and is an Associate of the Chartered Institute of Management Accountants (A.C.M.A.). 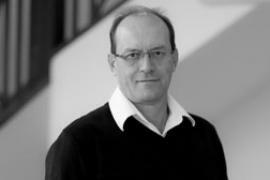 David is a chartered accountant, having served his articles at Grant Thornton, Johannesburg. He has been active in debt capital markets since 1997, holding employment at both a specialist structured finance organisation and a large local bank. In 2005 he joined Transaction Capital’s founding shareholders to acquire African Bank’s Commercial Vehicle Finance division (now SA Taxi). Shortly thereafter Transaction Capital was formed, where David established and led the capital markets team for a period of five years, and later served as the CFO of SA Taxi for 18 months. He was appointed to Transaction Capital’s main board as group chief risk officer in April 2012, thereafter served as the group CFO and in January 2014 was appointed as the group CEO of Transaction Capital Limited. 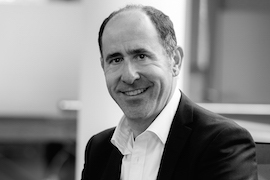 After completing his articles at Arthur Andersen, Jonathan co-founded Stratvest in 1995. In 1997, African Bank (then Theta Financial Services Limited) acquired 50% of Stratvest, leading to the formation of Nisela Growth Investments. He held the position of joint CEO of Nisela Growth Investments until 2002 and went on to acquire and grow the group of companies that in 2007 became the foundation of Transaction Capital. Jonathan was appointed as an executive director in June 2010. 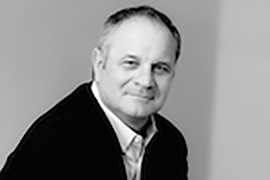 After completing his articles at Deloitte & Touche in 1990, Michael co-founded Stratvest in 1995. In 1997, African Bank (then Theta Financial Services Limited) acquired 50% of Stratvest, leading to the formation of Nisela Growth Investments. Michael held the position of joint CEO of Nisela Growth Investments until 2002 and went on to acquire and grow the group of companies that in 2007 became the foundation of Transaction Capital. Michael was appointed as an executive director in December 2011. Robert studied Business Science at the University of Cape Town, obtaining his Honors in Finance prior to becoming a Chartered Accountant. He completed his articles at Grant Thorton Kessel Feinstein before working in a telecommunications group. 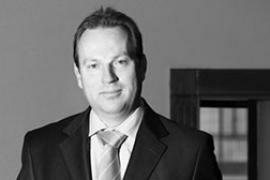 As Group FD of the Vestacor Group, Robert was involved in the acquisition, structuring and repositioning of various assets within the retail and property sectors of Southern Africa and Europe. In 2010 he co-founded and listed Vividend Income Fund Limited on the JSE as a SA REIT. As CEO of Stuttafords Stores and Stuttafords International Fashion, he facilitated the turnaround and repositioning strategy of the businesses. Robert has served as a non-executive director on various Boards, and has chaired various audit, risk and investment committees within the Vestacor Group over the years. He has seasoned experience in financial structuring, debt restructuring, risk management, acquisition analysis and deal formulation. 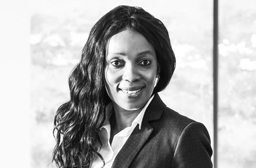 Dineo has over 19 years’ experience in Human Resources. She holds a Masters in Management and Innovation, awarded with distinction, and a postgraduate qualification in the Executive Development Programme, both from Wits Business School. She went on to achieve her qualification in the Construction Management Programme from Stellenbosch University. Dineo also holds a BA degree in Human Resources and Economics from Wits University. Her previous roles spanned across the Financial Services, Research and Development and the Insurance industry. Dineo came from Group Five, a leading African construction, concessions and manufacturing group. She was the HR Director of Group Five’s Engineering and Construction (Building) and was later promoted to Cluster HR Director within the Investment and Concessions Cluster, overseeing Eastern Europe, North America and Africa. Dineo is passionate about unleashing potential and developing people, as well as creating a positive environment where people are engaged, motivated and inspired to bring the best results. 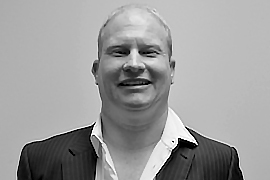 Carl holds a B.Acc and B. Acc (Hons) degrees from the University of the Witwatersrand, and is a Chartered Accountant (SA) as well as a Chartered Management Accountant (ACMA). After completing his articles at Coopers and Lybrand (now PricewaterhouseCoopers), he remained with this company for a year as audit manager. 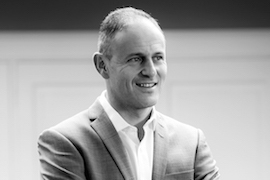 In 1999 Carl decided to relocate to the UK where he joined the Insurance and Investment Management Audit division of PwC in London as an audit manager, working on key clients such as CGU, now Aviva. After two years Carl decided to move out of audit and was invited to join the newly formed specialist financial services team within Transaction Services of PwC London. Carl conducted due diligence services (buy side and sell side) and other related mergers and acquisition consulting in UK, Europe and US for the next three years. In 2003 Carl decided to return to South Africa and after travelling around the world for 6 months arrived back in November 2003. Carl joined MBD as Group Financial Manager and was promoted to Chief Financial Officer in 2005. In 2008 Carl was promoted to Commercial Executive and was tasked with looking at various aspects of the business both strategically and operationally in order to ensure future growth and profitability. In 2010 Carl assumed the role of Executive Head of the Legal Collections division. Carl attended the Executive leadership program at Harvard Business School, Boston, USA in 2011. 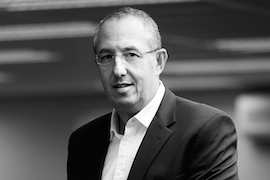 In 2014, Carl was appointed as head of MBD Revenue and promoted to Managing Director of Transaction Capital Recoveries in January 2016. Stephan joined MBD in December 2007 after spending three and a half years at First National Bank. At FNB Stephan was Head of Sales & Solutions in the Private Label Department responsible for new business growth and input to the strategic direction of the division. As he is from a vendor background, his focus is on providing practical operational solutions through 3rd party outsourcing and has a strong client service view and a detailed understanding of operational environments. Prior to FNB Stephan headed up an African Bank subsidiary providing working capital solutions to SMME’s. Stephan honed his analytical, financial and strategic skills in his time as an equities analyst with CSFB and an actuarial assistant with Liberty Life.